We have been running the WAQF365 initiative every Ramadhan to try free the Masjid of its debts. – WAQF is an Islamic endowment used for the continuous development of the Muslim community. – WAQF365 initiative was created to give our community the chance to invest in the long term sustainability of Cann Hall Deen & Education Trust. – WAQF365 consists of 2000 shares. 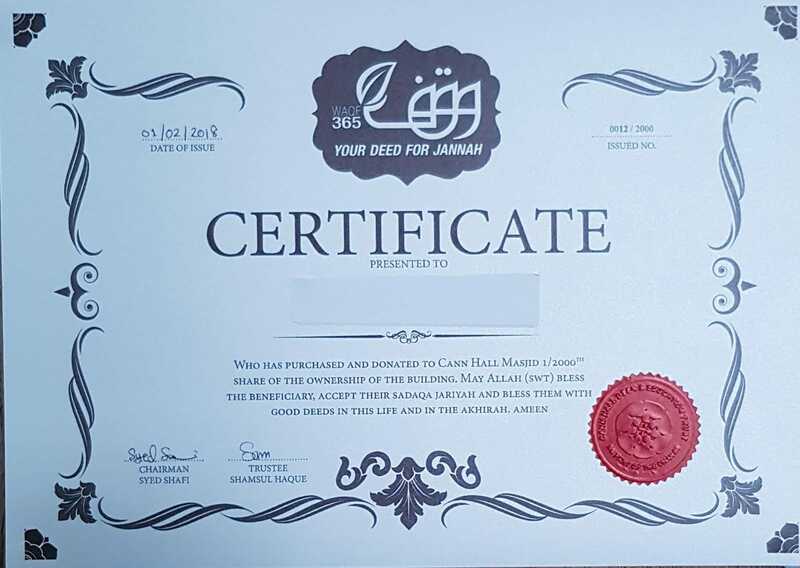 Each donor will receive a certificate for 1/2000th share of the property value of 145 Cann Hall Road at a cost of £365, the share is then donated to Cann Hall Deen & Education Trust as an endowment. 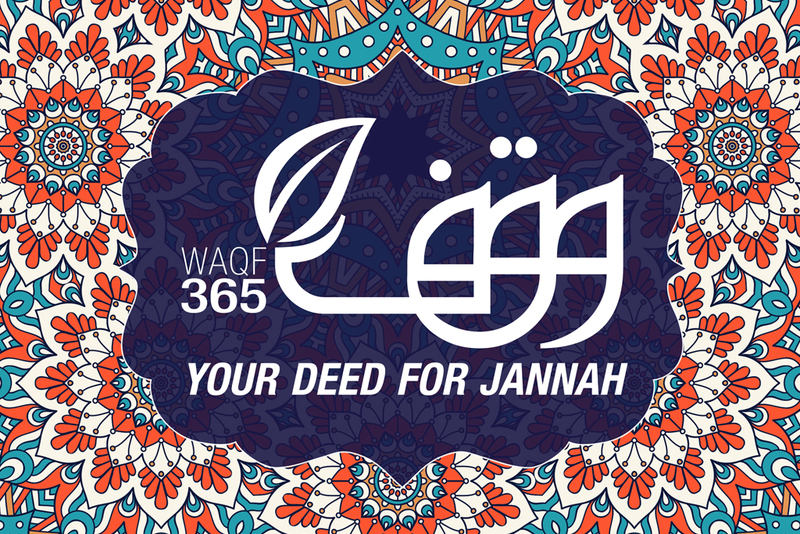 – WAQF365 is a great opportunity to invest in a share of the Masjid and increase your Sadaqah Jariyah. 3. By Cheque: Payable to Cann Hall Deen and Education cheques can be dropped off to Masjid. Please call or text to provide the name that should appear on the WAQF365 certificate. Jazak’Allah khairan for your continued support.